December is complete and I have carved more than 31 stamps. There were several days that only one stamp would not do. 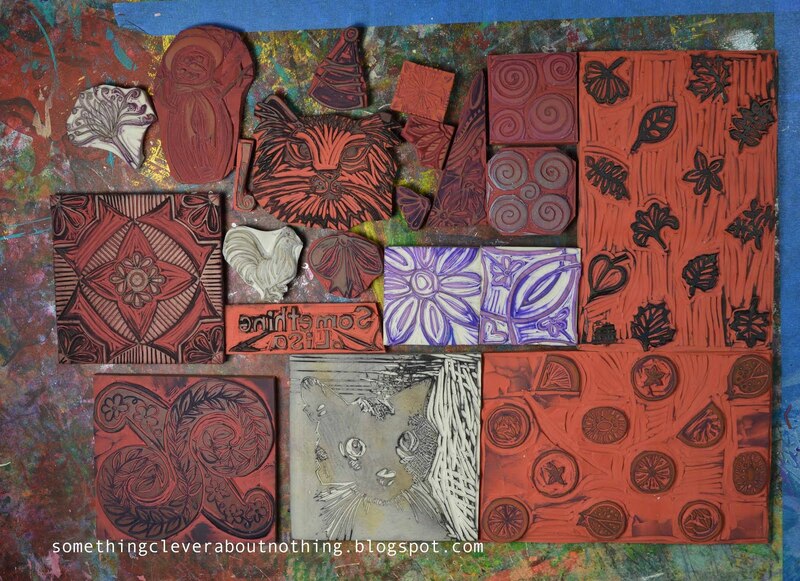 I gathered all the stamps together to photograph them but they wouldn't all fit in one photo, so here they are in two. It was a very productive December! I love carving everyday, but as I have other work that must be done, I can't continue the project for the entire year on a daily basis, but I do think I can carve every week! 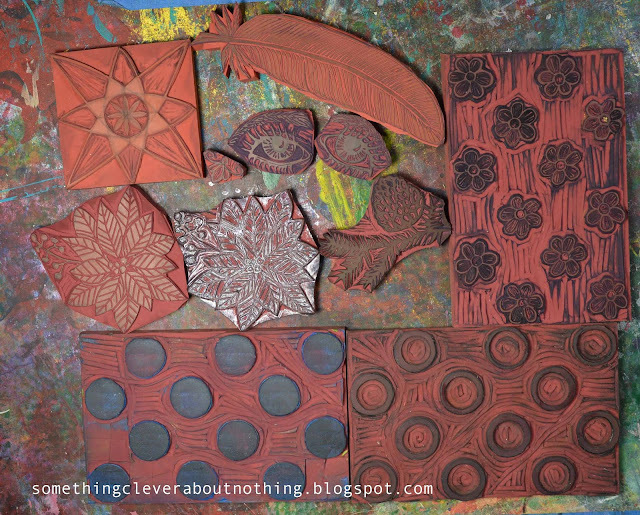 So I am committing myself to a weekly stamp post called: Stamping Saturday. See you then! You have been busy and your stamps are so neat! I keep saying I want to make some....you are inspiring me Lisa!